Our number one goal is to assist you in finding “The One”. We want you to have an exciting and memorable experience with us! We are here to help you find what some may say will be the most important garment you will ever wear! We always recommend an appointment, just so we can guarantee you will have our full attention from the moment you walk through the door. We would hate to have you wait for a dressing room and stylist, however walk-ins are also welcome and we will do our best to get you partnered with a stylist as soon as possible. We will have high heels, a strapless bra and a robe for you to use during your appointment. 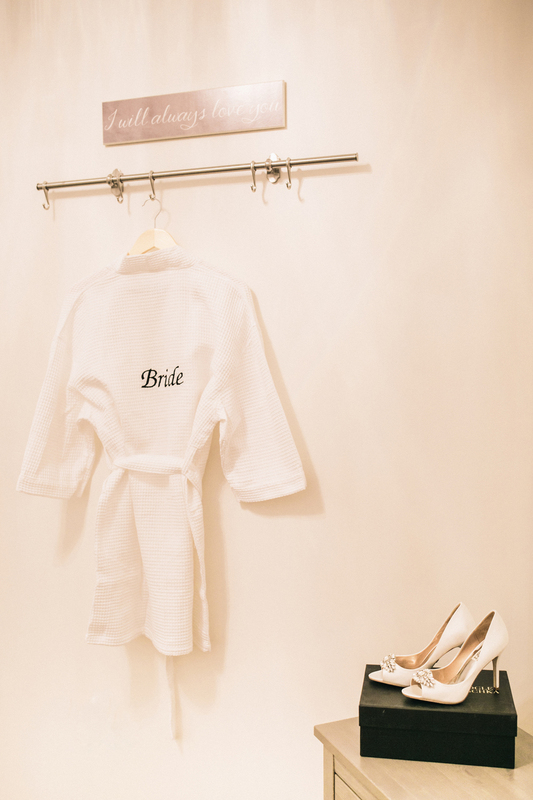 If you would feel more comfortable, you can bring your favorite pair of heels or your wedding shoes and under garments. We encourage you to bring those who you are closest with and those whose opinion you value most. They will play a big role in helping you find “The One”.